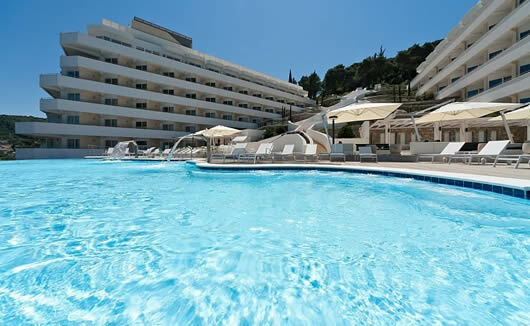 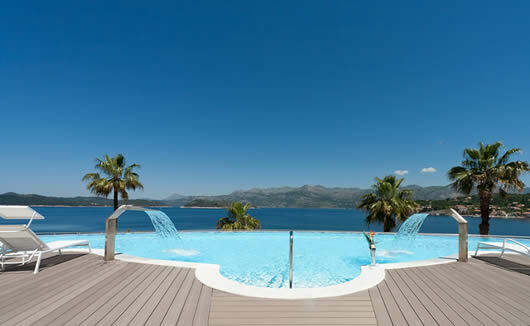 The Sea Resort is a fabulous four star property, set on the stunning location of Lopud Island, right on the sea front. 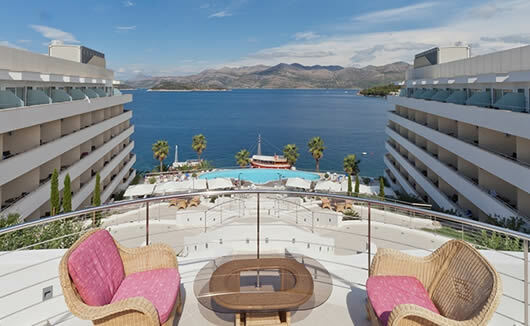 The tiny island of Lopud is just off the coast of Dubrovnik, making it the perfect base for those looking to explore Dubrovnik’s Old Town, the beautiful commune of Cavtat, the extensive Elaphiti Islands or the rest of Dubrovnik-Neretva County. 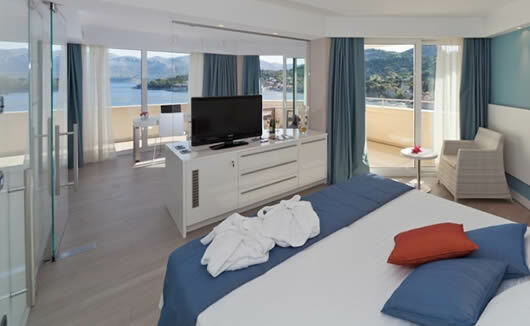 Set on an island away from the city’s main tourist areas, guests can enjoy complete peace in a little spot of coastal paradise; get away from the busy streets of the city and wind down in this special island retreat. 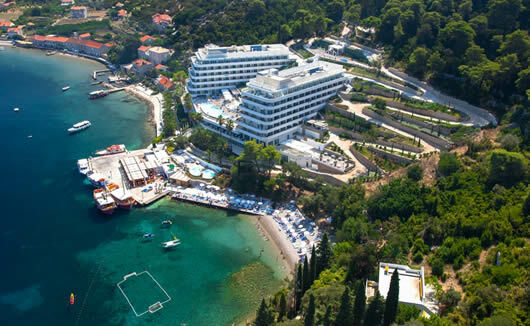 This sea-facing hotel features 2 panoramic pools. 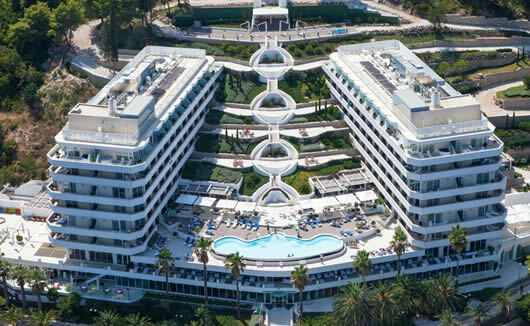 which overlook the Adriatic Sea, a state of the art spa facility, which includes a Finnish sauna room and Turkish bath, a choice of more than six places to wine and dine and on-site entertainment. 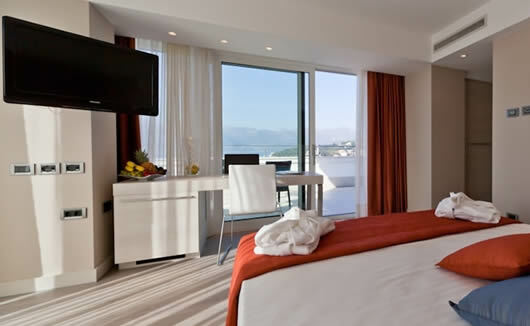 The rooms at this hotel are designed to be fresh, bright & modern. 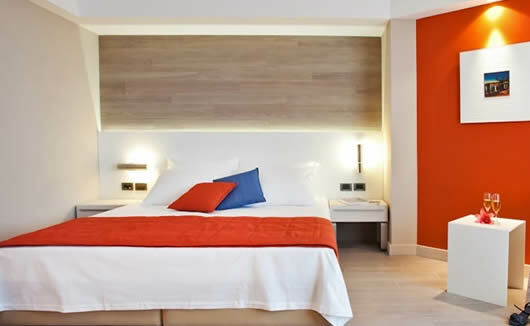 The interior concept features clean lines, simple décor & refreshing pops of colour which are inspired by beach life. 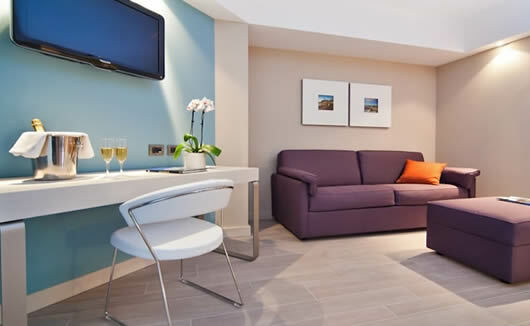 As standard, all rooms & guest suites come with; private balcony, air conditioning, LCD TV, kettle, WiFi, mini-bar, complimentary toiletries & safe.